awesome entries…so I hope you come along and play again. in any style that you like! My card this time around is me having fun with ink!!! because I just love this colour combination. but I wanted something dramatic…not wish-washy. They have been lifted with a little magic mount. just adding a little stickles. This time I remembered to take a picture of the background. and splattering a little bleach. The bird stamp from Flonzcraft can be found here. Wowowow, a gorgeous masterpiece, Dot. 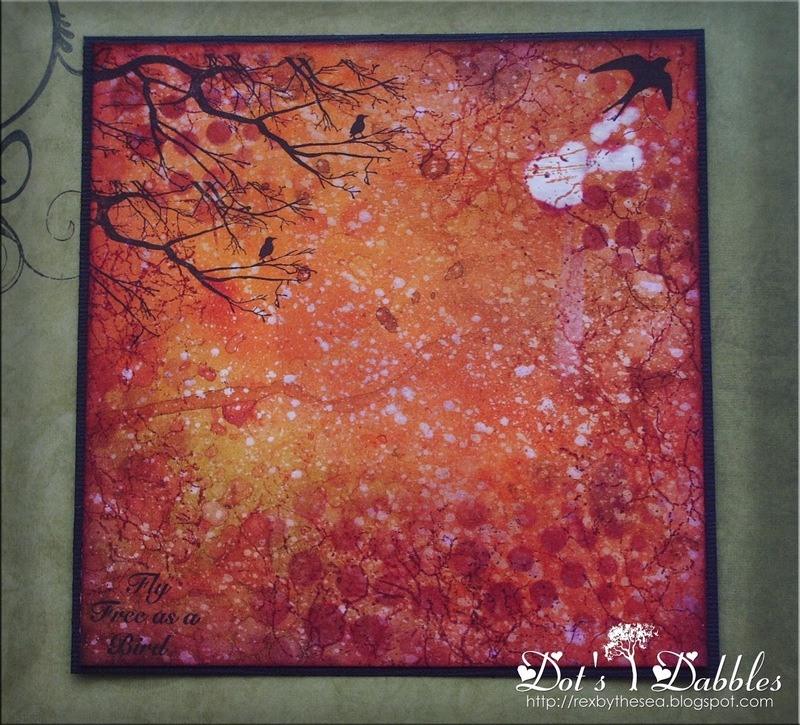 Fabulous layers of inks and beautiful colours. The image and leaves look perfect over it. Gorgeous make, – that background is out of this world, LOVE those colours!! The colours are gorgeous, its a fantastic card. Dot, I love the out of the box birds! That background is gorgeous and the bleach adds such a great touch! Gorgeous card! Happy Monday! a fabulous card with a GREAT style! thank you so much for playing along with us at ruby's rainbow challenges! Great card with amazing colour effects Dot! 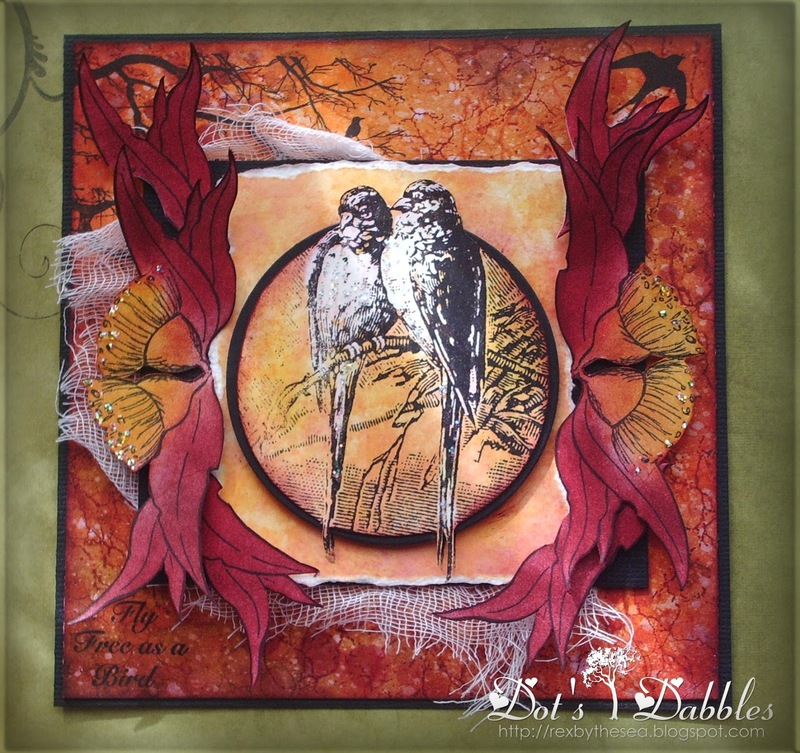 What a fabulous card – starting with that amazing background, the wonderful birds and those brilliant dimensional leaves. Wow, that's a breathtaking card. Lovely creation. Background is fantastic and I love the colours. Thanks for playing along at Inkspirational this week.